A group of fans of the Sweeney have got together with Tin Hat Productions and they have made a short film as a tribute to the series. Authentic to the last detail using unspoilt London locations some of which were used by Euston Films themselves, all of the characters are played by amateurs, all props, clothing, cars etc were either sourced along the way or are our own. We hope to release the film in early 2015. I play the part of DCI Haskins. ....roll out the red carpet and the gongs for Badger. Flabbergasted, is the word I think. Brilliant, looks better than Ray Winstone's version a couple of years ago! Well done mate, In the Sweeney series there were some top actors of the day, John Thaw was really great in this role, so a very hard act to follow, this looks good, the cars and location's look great. A like for the motors alone. Well played. I read about this in a classic car mag a few weeks ago. We're any of the cars yours? Need to see the bottle of Scotch and plastic cups in the filing cabinet at some point. Are the time lines on the cars correct? 1980s Granada amongst the overs. Great stuff Badger, needs a couple of police dogs though. 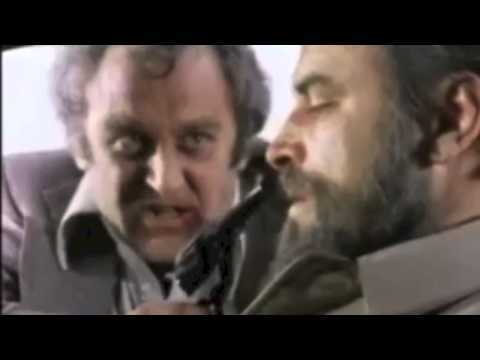 Ian Hendry, Brian Blessed, .. love it when Blessed and Thaw have that scene.......'Cosser'. "Get yer trousers on, you're nicked"! Great series. I loved it. May be the reason why I owned a Granada at one time. Of course, the car in the Sweeney was the low spec Consul variant. Yes, an article will also appear in the Jan 2015 Ford cars mag. We supplied all the cars for the film. we might well be doing a follow up and i shall keep this in mind Ray. I'm interested to know, you say you "supplied" the cars - do you own them all? If not, where did you find them? My Dad had a 1973 2.5 litre Granada, it was like a very powerful luxury sofa on wheels. The only drawback was it did about 100 yards to the gallon. I had the 3 litre V6. Didn't worry about MPG much in those days. I did hear that 1.3 litre Mk 1 Escorts were shockingly bad and Ford went to great lengths never to give out figures (this was before they had to). Cheers, will look out for it. Genius. Can't wait for it to come out. When i say supplied, i mean that the cast members provided the motors. There is an original V8 blue Rover police car driven by an ex copper in the final scene. For More Pictutres go to the facebook page, type The Flying Squad into the search engine and go from there. I wondered as I am in the classic car world a bit and have a particular interest in Vauxhalls. Baddies driving a nice green Ventora and right at the start did I see a Mk 1 Cavalier? What is your interest in Classic cars. @Badger‌ Well, my classic car CV in brief is: I've owned a Mk2 convertible Cavalier since 1986, when admittedly, it wasn't exactly a classic as that was the year it was built. But ever since I started driving I have always wanted to have "interesting" cars. I was instrumental in setting up the Vauxhall Convertible Car Club, which, sadly, has now closed down. Currently SE Area organiser for the Vauxhall Opel Drivers Club, but I am going to have to give that up as I don't have the time at the moment. Previously owned a Morris Minor, an Austin Cambridge, a Granada, a Classic and a Consul Capri, among others. Simon Woolley will be running an article in the Jan issue of Classic Ford Magazine. Foe those interested The Short Sweeney film will be shown at The Haverhill Arts Centre on 28th March at 3pm & 6pm, tickets will be available from the box office for a Fiver. There are also plenty of new Pictures posted on The Flying Squad Facebook Page for those interested. More dates to follow shortly. 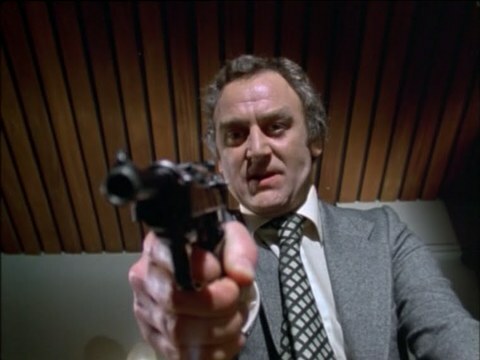 Big fan of the series, and John Thaw especially.